Pfc. Charley D. Grose, son of Mrs. Grace Grose, attended Tipton High School. Entered Army in Dec., 1942, trained in Camp Roberts, Vallejo Cal., Camp Adair, Ore., Ft. Leonard Wood, Mo. 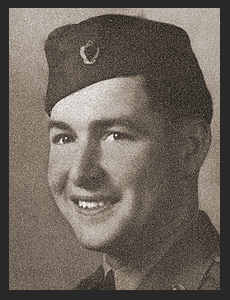 ; was killed in action in France in Feb., 1945. Awarded the Purple heart, ETO Ribbon with one Battle Star.